Photo of: Midlands of Ireland: Tipperary: Cahir. 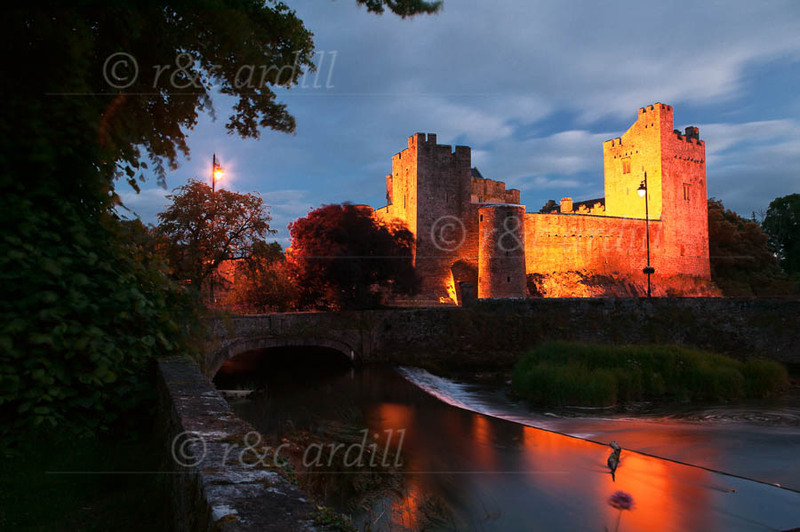 Image of Cahir (or Caher) Castle in the evening, viewed from the weir on the River Suir. Cahir Castle is a very fine example of a late Medieval castle. It was remodeled and extended in the 15th to 17th centuries.